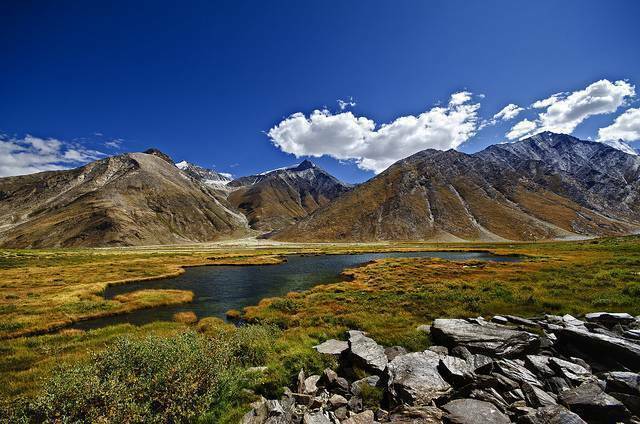 About 100 Kms from Kargil located mid-way on way to Padum in Zanskar, Rangdum is a popular halt for tourists. Rangdum is located in quite isolated Suru Valley and offers amazing view of hills on one side and rocky mountains and glaciers such as famous Drang-drung glacier. Perched at the top of a small but steep sugarloaf hill, Ragdum has a massive 18th century Buddhist monastery.